Every relationship has challenges and struggles that they go through. Financial stresses, job issues, problems with their children, or problems with their families are issues that couples may face. Some relationships, like intercultural relationships, have special challenges that they have to deal with. These tips can help you and your partner or spouse handle these special challenges. The most important thing in all relationships, especially in a intercultural relationship is to respect the things that you make you and your partner unique. A lot of cultures or religions have restrictions on diets. If your partner has something that is part of their due that you do not consume due to your cultural or religious beliefs, do not make an issue out of it. Your partner has been eating that food their whole life, just like you have not been eating it for just as long. As long your partner does not pressure you to eat the food, let them enjoy it. You and your partner more than likely have not experienced all that your cultures has to offer. Even if they have, here are traditions that are part of their culture that they do not think about because they have been a part of their whole life. Together, you and your partner can visit cultural and historical areas that are an important part of your lives. Each one of you can see these places through a fresh pair of eyes and it will make for a fun date as well. One of the best parts of being in an intercultural relationship is the opportunity to try new foods. If your partner is outside of your culture, it is very important and rewarding to keep your mind open to try new things, whether it is new food or experiences. Be open to new things without being judgmental. Being in an intercultural relationship gives you the opportunity to step outside of your comfort zone and try new things. You and your partner can share the things that you love about your culture with each other and enjoy them together as a couple. When people from different cultures are in a relationship, the difference in values can be a roadblock. Therefore, it is a good idea to discuss these things at the beginning of the relationship. This talk is very important, especially if you and your partner plan on having children in the future. What religion will you and your partner raise your children in? What values and traditions will you pass on to the generation that comes after you? Another thing that you and your partner need to discuss is your wedding. Will it be a faith-based wedding? Will it be in your native land or theirs? These types of relationships need both partners to meet the other in the middle. Therefore, both you and your partner need to do your share of it. It is not easy to learn a brand new language. Language can be an essential element to an intercultural relationship, especially if one of you move to the other’s homeland, so you and your partner can be together. It is very awkward to be at a family get together with your partner and you cannot speak or understand their native language. Even if your partner’s family knows your language, if you learn their language, they should be happy that you took the effort to learn their language. This will show them that you are trying very hard to fit in and be a part of their family. It is important to start learning e.g. English at the very beginning of the dating process and development of your relationship. Many professional International matchmaking companies offer English courses for brides. One of the biggest issues of a multicultural relationship can be the attitude of you and your partner’s family members and friends. A lot of people, especially those that are a lot older than you, may have a difficult time accepting you and your partner dating someone who is from a different culture and of a different race. You or your partner’s values may not be accepted or they may be in fear of you or your partner leaving your family behind for your partner’s family, friends, and traditions. You should reassure them that they do not have anything to be afraid of, while also being firm and standing up for your relationship. Be sure to tell them that you are serious about your relationship, and that they need to be respectful of it. A lot of couples are afraid to talk about the future. 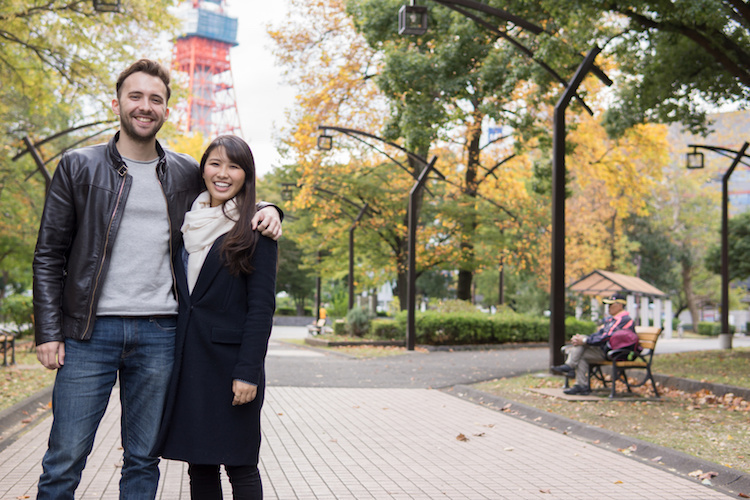 As a multicultural couple, you and your partner have some additional things to consider. You will have to decide where to reside and to make plans about your careers and finances. Money is looked at differently in different cultures. Some people carefully plan for their future so they will have money for the days, weeks, and years ahead. Others choice not to do any form of money management. If they have it, they will spend it. When it comes to careers in different cultures, there are a lot of expectations for each partner. These expectations can easily put pressure on your relationship and your future together, if you are not working together as a team. You should make your dreams and goals a priority individually, and, as a couple, make it a goal to achieve them together as a couple. Being an multicultural couple does have its challenges like any relationship does, according to Katrina El, a professional matchmaker and dating blogger from best-matchmaking.com. If you and your partner let the challenges bring you together, instead of driving you apart, you can have a healthy and happy relationship for many years to come. All of the things that make you and your partner different can either drive you apart or together. Communication is essential, let that be an essential element of your relationship, and everything should work out well for you and your love for a lifetime.